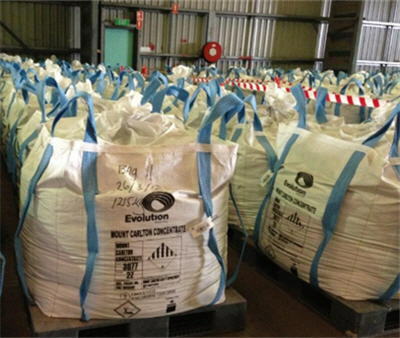 Australia's Evolution Mining Ltd. (ASX: EVN) opened its new Mt. Carlton gold-silver-copper mine in Queensland on Wednesday. The mine is expected to a have a life of 12 years with a projected output of about 55,000 ounces of gold per year at a cost of A$500 per ounce. Full capacity production is expected in September. As of the beginning of April, the mine had processed 10,000 tonnes of ore, with an average grade of 217 silver grams per tonne, and had an average silver recovery to concentrate of 67.6% with 689 dry tonnes of concentrate produced. Evolution said it was "a tribute" to the business environment in the state, as well as the country, that the mine operation was opened in seven years. The company has invested more than $200 million in the development.